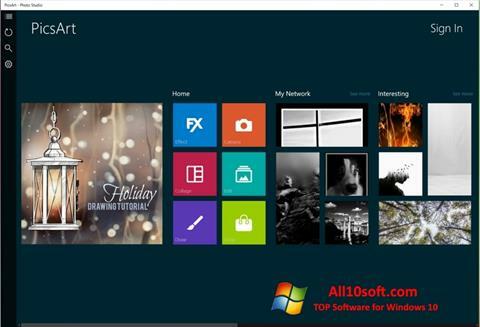 PicsArt for Windows 10 - A program for the detailed processing of any images. The application allows you to change the tonality, colors and brightness settings, supports the means of adjusting the saturation and adding the effect of dispersion. Provides the ability to rotate, resize, integrate various elements of graphics, text. It supports work with webcams and masks in real time, includes a module for converting photos into drawings with imitation of watercolor technique. Able to send finished pictures by mail, allows you to save combinations of layers for batch conversion in automatic mode. You can free download PicsArt official latest version for Windows 10 in English.